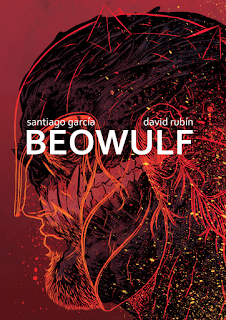 This is the most over-the-top version of Beowulf since the silly 2008 movie, but that might just be what inevitably happens when you let comics people get their hands of a story about a guy who kills monsters and dragons. That often-told story was turned into comics a few years back -- I'm being vague because the book doesn't say when -- by Spanish cartoonists Santiago Garcia and David Rubin. 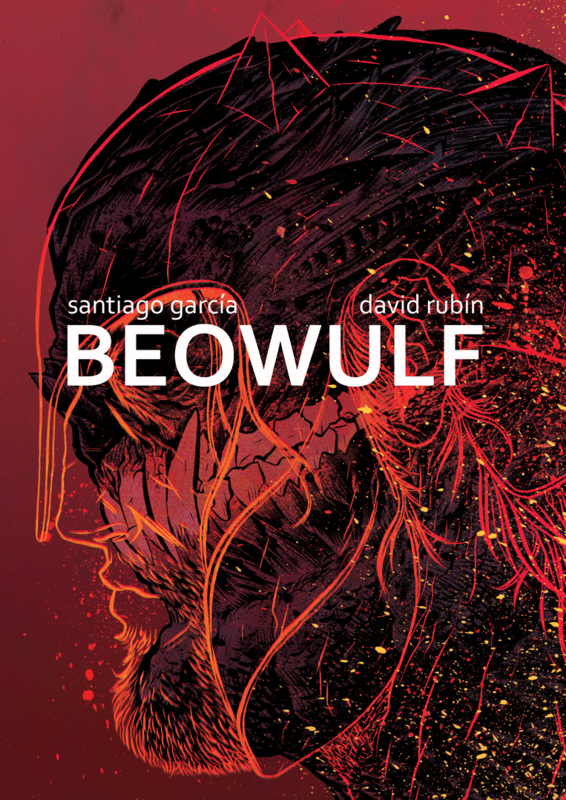 This Beowulf was translated by Sam Stone and Joe Keatinge and published as an album-sized hardcover by Image at the end of 2016. It's a very visual representation of the story, which is all to the good: Beowulf, as a poem, is all about language, so turning the comics version into an image-driven work, intensely constructed and full of complicated panel layouts, makes this Beowulf it's own distinct thing, using the powers of its current medium to tell the story it's own way. Rubin is good at darkness, ominousness, and sudden violent action, all of which are very important here -- to my eye, he's from a similar school to Geoff Darrow, with pages full of detail and huge action panels overlaid with a spray of smaller panels to show individual moments.